Electro WOW ► Electronic Music News: Hot Natured Unveil New Single "Isis"
Hot Natured Unveil New Single "Isis"
Hot Natured have unveiled their new single "Isis". It is the latest taster from the Deep House group's forthcoming debut album 'Different Sides Of The Sun'. Listen to "Isis" below. The track premiered on Zane Lowe's Radio 1 show tonight (July 18) as the hottest record. 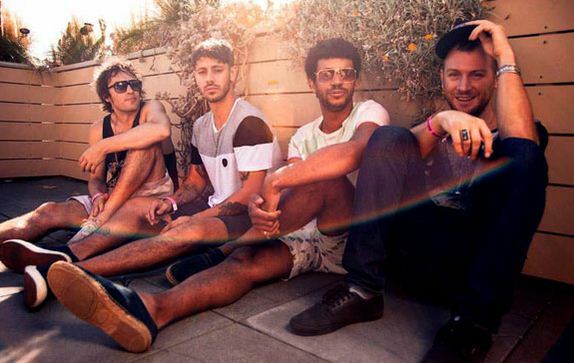 Hot Natured are made up of producers and DJs Jamie Jones, Lee Foss, Luca C and Ali Love. "Isis" will receive an official release on September 9. The album is out a week earlier on September 2nd, 2013. Ashpoow | Check out the New EP - "How Are You?"